Here’s the Nonsense: Ron Paul is not a credible candidate. His ideas are crazy and he is just a fringe candidate that should be ignored. 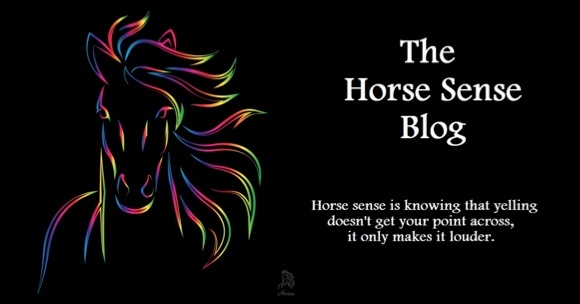 Here’s the Horse Sense: Ron Paul is rising in the polls in Iowa and New Hampshire. His views may be considered fringe or crazy by the media, Democrats and the establishment Republican elite, but some of those ideas are getting serious attention from voters who are worried about the economy and the future. Even with a deadline this week, the Debt Panel (also called the Super Committee) is going to fail. Even if they should come to an agreement, there will be a backlash at the voting booth next fall for not truly having dealt with our economic problems. Many voters don’t see the Congress, the President, or the presidential candidates taking the economy seriously enough. Ron Paul’s chances of winning either the GOP nomination or the election as a third party candidate are small. But if he decides to run as a third party candidate he will assure an election victory for Obama. He will do this by splitting the Republican vote like Ross Perot did when he ran against George H. W. Bush and Bill Clinton. The only way to avoid him assuring an Obama victory with a third party run is for GOP contenders to wake up to the single most important issue of the election that Ron Paul has clearly identified. Ron Paul’s position could make the difference between whether or not the American Dream can ever live again and other GOP candidates need to adopt it if they are serious about fixing our economy and winning the election. What is that idea? The one idea far above all others that Ron Paul is promoting and that voters are embracing is his promise for an immediate and dramatic cut to spending to bring our fiscal house in order. Call him crazy, but Congressman Paul sees clearly that if this issue isn’t dealt with no other issue will matter because America as we know it will never recover. Most members of Congress and the GOP candidates, too, do not see our financial mess as dire as it really is. Only Ron Paul has taken it seriously enough to propose cutting $1 trillion in spending his first year in office. And even with cuts that large it would not be enough to balance the budget, but would put us rapidly on track to turn things around. He could follow up by quickly cutting the rest of what is needed to bring the budget in line with income. This would cause the government to live on its income, something we all have to do in our personal lives. It would also allow us to start paying off the gigantic debt that, if ignored, will destroy this nation and its future. Serious GOP presidential candidates need to pay attention to the message GOP voters are sending. They are tired of Washington ignoring the problems our nation faces. They are tired of Washington not facing reality. There is a big concern on the part of us average American citizens that elected officials are not taking our financial crisis seriously. It is a mistake. And it is that mistake that will cause many voters to break with the party and vote for Ron Paul should he decide to run as a third party candidate if no one else adopts a serious plan to cut spending. And should that happen it is a guarantee that President Obama will get another 4 years in the White House. Americans understand that Washington has a spending problem, not an income problem. Contrary to the media’s claim that most Americans want taxes raised on the job creators in this country, I think that most Americans would rather have Washington brought under control. They have run rampant too long with our money. It is our government, not theirs. We the people are tired of watching them act like spoiled teenagers who are out of control with their parents’ credit card. I would suggest to the GOP candidates that they seriously consider adopting Ron Paul’s plan for dramatic and rapid spending cuts. That will both send a message to American voters that they are serious about fixing our problems and also give voters an alternative to President Obama winning the election should Ron Paul decide to run as a third party candidate. Add to that that it would be just plain good for America and you have a formula for success in both the primaries and the general election.